Strikingly innovative windows and doors crafted with time-tested attention to detail; industry-leading energy efficiency; sustainable building practices that put the environment first, and service that puts you first. 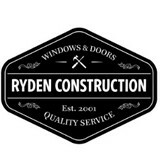 Welcome to windows and doors that never compromise, made by people who don't either. We offer a wide selection of energy efficient wood and aluminum clad windows for the new construction or remodel and replacement markets. 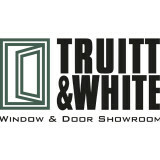 Thousand Oaks' Custom Window & Door Specialist! Lion Windows and Doors is a full service, wholesale and retail company, offering window and door replacement and new construction throughout Southern California to homeowners, contractors, architects, interior designers, and builders. Our professional sales team, service representatives, and installers are specialized in providing our customers with the best solutions for their needs, both big and small. We offer an incredible selection of custom-quality windows and doors, providing the perfect finishing touch to every home. At Lion Windows and Doors, we guarantee premium-quality products, with affordable and competitive prices. For more information, please contact one of our representatives. *Authorized Andersen Dealer* Since 1961, Banks Glass has strived to help you create the home you and your family deserve. A visit to our beautiful Jamestown showroom will allow you to experience why so many of your neighbors have chosen Banks Glass for windows and doors for their home. 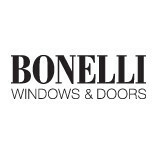 Whether you would like to leisurely browse and operate our award-winning products, learn about the latest design and energy efficiency trends, or discuss technical aspects of your project, our professionally trained window experts are available to answer all your questions and help you find the perfect windows and doors for your home. Window Visions is the premier window and door supplier for the discerning customer. Our products, our expertise, our service. We take pride in running a first class organization with great products, and we have the years of experience to handle any job properly. 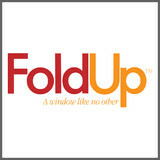 Our after sales service is second to none with full-time, factory trained service technicians. We are the Loewen Window Center for San Diego (Solana Beach Showroom), Orange County (Laguna Design Center), and Riverside County (Palm Desert Showroom). 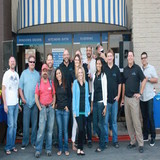 *Authorized Dealer of MI Windows & Doors* Equity has been serving the Central Valley for 25 years. Equity has 1000's of references from small residential to large residential to commercial projects. 1. Windows, Patio Doors, French Doors, Entry Doors, Back Doors. 2. Vinyl Siding, Soffit & Fascia. 3. Patio Covers: Lattice, Solid, Insulated Roofs, Louvered Roof Systems. 4. Commercial Storefront, Glass & Glazing. Equity is Licensed & Insured and carries Workers Compensation. All work is completed by skilled trained employees. No piece workers. Equity has a Free Design Service to help you get exactly what you need. Equity's warehouse & showroom is open 6 days a week. Estimates are Free. Los Angeles Custom Window and Door Specialist Best of Houzz 2015! Essential to your California home’s beauty, function and feel, windows are one component that should never be overlooked. When they aren’t doing their job, you’ll know it, and the resulting leaks, drafts or other problems can be costly to rectify. Hire a trusted California window dealer to help you select and install your windows, and you’ll enjoy the rewards of your smart investment for years to come. Whether you’re building a new California home, remodeling an old one or just replacing a few windows that are past their prime, your window dealer in California will help you pick the right windows for your needs, home style and budget. Windows come in so many sizes and types that expert advice and direction is invaluable in helping you make the best decision. These pros can also help you with custom window designs that complement your space better than something ready-made. Lastly, if you are interested in doors with windows, these experts are also knowledgeable about sliding doors, French doors and other paned portals. Find a window dealer on Houzz. Narrow your search in the Professionals section of the website to California window dealers. You can also look through California photos to find examples of windows that you like, then contact the window professional who worked on them.